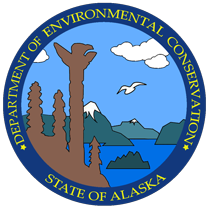 In the summer of 2012, the State of Alaska contracted ATI to fly an aerial survey of Alaska's Gulf coast. 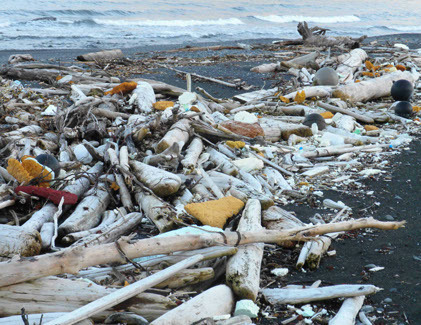 The purpose of the survey was to determine if any of the debris from the 2011 tsunami in Japan had begun to wash up on the shore line of Alaska. 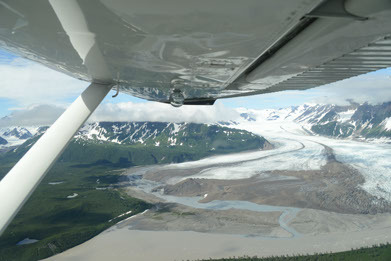 The survey was conducted in a Cessna 185; a small, single engine plane on amphibious floats. A operator in the back of the plane ran all the camera equipment. The main camera used was a Nikon D800E with a 28-300mm lens. Images were geotagged at time of acquisition. They were taken in two formats simultaneously, JPG and NEF (RAW). HD video was also taken of the entire coastline to aid in post-process analysis. After the flying portion of the survey was completed, all of the photos collected during the survey were rated and tagged with keywords. The rating system was as follows. 0 stars - No debris. 1 star - One piece of debris like a buoy or a piece of foam. 2 star- Light concentration of debris. 3 stars - Medium concentration of debris. 4 stars - Medium to heavy concentration. 5 stars - Heavy to overwhelmingly large amounts of debris. The use of keywords and the rating system makes it easy to break down and focus on a particular subset of data. Three programs were used to process the images. Adobe Bridge, Adobe Photoshop CS6, and a program by Nikon; ViewNX 2. Rating and tagging of images was done in Bridge. Photoshop was used to resize images and edit them if needed. ViewNX 2 was a great program for viewing the GPS data from the photos.